A birth chart is like a really good map for the voyage ahead. It shows you the ups and downs of the terrain but more importantly it shows you the strengths, needs and weaknesses of the vessel of You. We’ve all made statements like these and, in essence, blamed the planets for our actions and the events in our lives. We look to the stars for guidance, praise them when we do well, and blame them when things don’t go the way we’d like. The natal chart is said to be the snapshot of the celestial bodies at the time and place of your birth. I always say it is rather like a stage play. The sign and house where the sun was at your time of birth, represents the main character in you play. For example, the sun was in the constellation of Aries when I was born, so I’m said to be an Aries! But the other planets were also in constellations and they each play a major part in the overall chart. The moon for example, tells me what my emotional character is; how I am likely to be in my home setting and what I am like when I am in love. So if the moon was, say, in the sign of Cancer at the time of my birth, then I am going to be an extremely emotional person. I’m likely to have deep feelings about things, be overly attached to my mother and have a vary caring and nurturing emotional nature. Mercury describes the character of the mind. 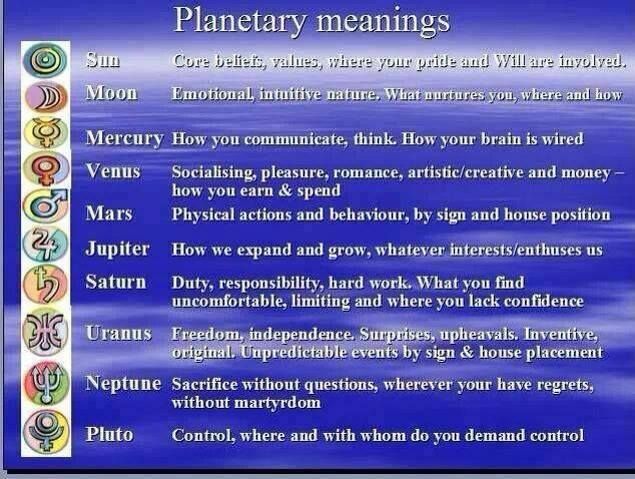 The sign where Mercury was at the time of one’s birth will tell you what your mental character needs and wants. 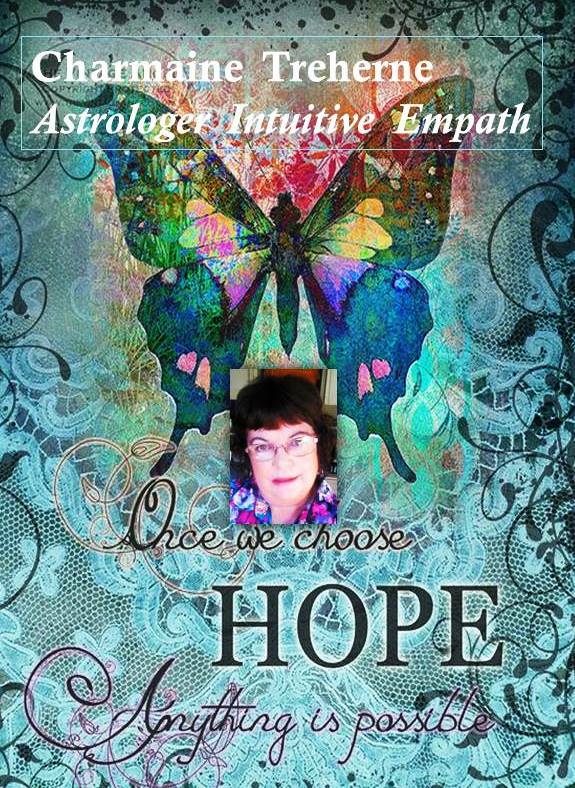 For instance if I have Mercury in Aries then I am a quick thinker, need a lot of stimulation, impatient and bossy. Mars is the character of my motivation and energy, it also speaks about the male side of me, the animus. Venus deals with friendships, partnering and money and Jupiter tells you about where you will be influential and expansive. The planet Saturn is said to be the protaganist in the play and the sign and placement of Saturn in your chart will say a lot about the areas of life that will challenge you and how you can work with them to get your best self. The houses in the Natal chart are the ‘where’ in the Chart. While the planet is the Who, the sign is the How, the houses will say the ‘where’. So for example, the Sun was in Aries at my birth, and it fell into the 5th house in my chart. That means that I will bring my Aries traits and gifts (and also weaknesses) into the area of the fifth house which rules creativity, children and play (5th house). You can read more about the Natal Chart here. In a theatre production, the Sun would be the main character. The Sun in your chart represents your greatest power and creativity in this lifetime. It is your ‘main character’. Its house placement indicates that area of life in which you are free to express this power and creativity–that area of life in which your Light shines most brightly. The ascendant is the most personal point in the chart. The sign on the ascendant gives a powerful description of your overall temperament. By knowing its most positive qualities, you may use your ascendant on its highest and best level. The “how” character if you like, of the “what” (main character)’. When you believe you are intelligent, you act intelligently. When you believe you are loving, you act lovingly and attract love. When you believe you are limitless, you act limitlessly and attract success. Why not accept the truth–that you were born to be happy, to succeed and to live life abundantly? By putting your attention on the most positive manifestation of your chart you create love, joy and peace in your life. It’s your life—live it! The better you know yourself, the easier your life will be. It’s that simple.